I didn’t know where to choose really, I just like it round here. This is above Langcliffe, looking back over where I work, land that we farm, our house, and Pen-y-Ghent in the background. I like this view because all the walls are actually up, whereas on quite a bit of land they’re not maintained that well. We try and keep them up – I think it’s important, round here, to keep it how it was, and how it should be. I do quite a bit of walling. In the autumn, when we’re not so busy at home, I go out and do drystone walling for other people. It’s something I quite like. I learnt walling from my dad – I just went with him and picked it up, and then just practiced really. It’s quite rewarding when you’ve done it and it looks tidy. I’ve lived here since I was one. I always helped Dad when I was a kid, and I just enjoy it really. I like the variety – different stuff every day, and looking after stock. We have about 1400 sheep, about 6-700 acres of land, and we rent some as well. So a lot of what you can see here is land we work on. It’s a nice area to work in, most of the time. We used to have about a hundred cows of our own. Now we just take in other people’s cows, for summer and for winter, at so much a head. We sold the cows a few years ago because I’m more interested in the sheep. I do a lot of showing prize sheep each year. We take the best ones and compete against other farmers. It’s a hobby really, and it’s showcasing your sheep, so when you go to sell them they’re worth more. It depends what breed you’re on as to what’s important: with Swaledale it’s all about markings – the colourings on the face and the legs; with some other sheep, like Texels, it’s about the shape and muscle they have; we have Swaledales mainly. I like working with stock, and I enjoy lambing time. If you look after them properly, it’s rewarding. 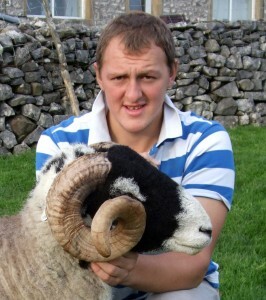 You buy a tup and see how his offspring is. You keep trying to improve what flock you have. We enjoy showing, and trying to better ourselves all the time. Dad always used to give us a sheep for our birthdays or for Christmas, and we would look out for that one when we were feeding. We still have favourites now – often the show ones; if they’ve done well in a show, you keep a look out for them. I don’t remember getting upset as a kid when they were killed, I think if you’re brought up with it you get used to it. You do get to know the sheep and a lot of them we’ll recognise because you see them every day. They all look the same to most people, but they’re completely different, with different personalities. You have some that seem to always graze in a particular part of the field, or two or three of them who are always together. It’s as if they have friends and stick to them – they’re quite human like that. 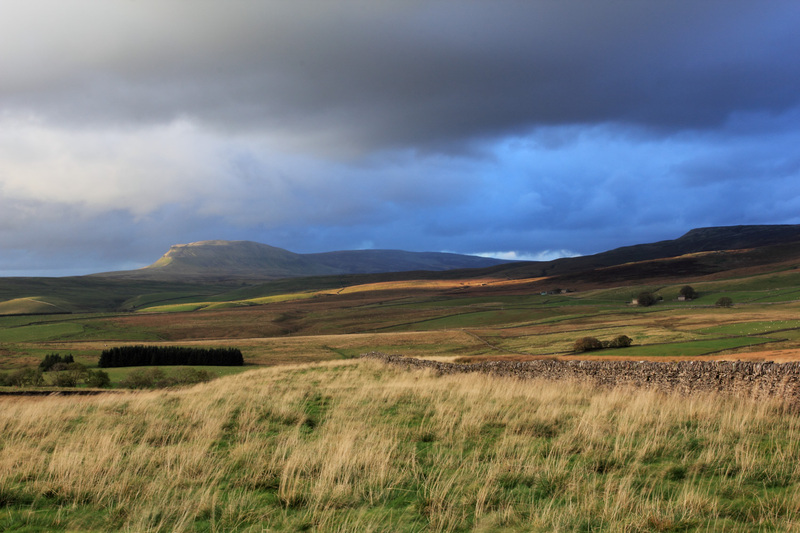 This entry was posted in Views 26-30 by Yorkshire Dales Photography. Bookmark the permalink.